When choosing bread, opt for whole grain. Whole grains contain fiber, vitamins, minerals, phytochemicals and other health-protective components. Strong evidence of protective health benefits have been shown for cardiovascular disease, hypertension, type 2 diabetes, colorectal cancer and obesity. 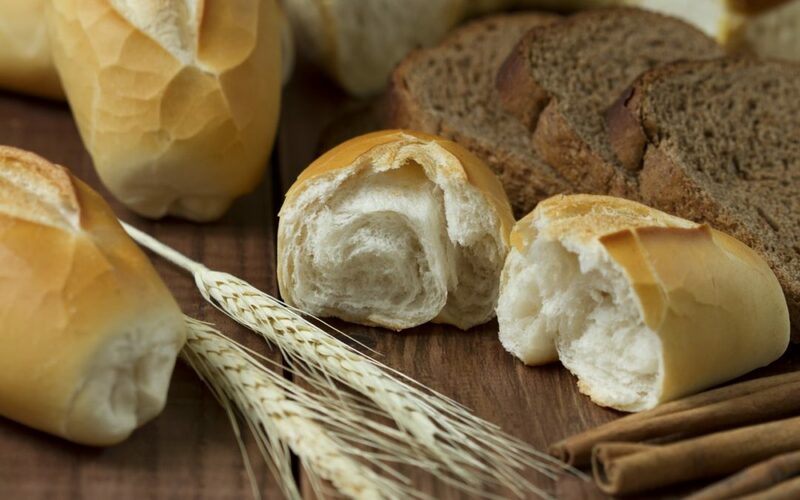 White bread is made with refined grains so the healthy parts of the grain are stripped away resulting in white bread having less fiber, iron and B vitamins than whole wheat bread. Some white bread is “enriched” meaning B vitamins and iron are added back, but even if bread is enriched with B vitamins and iron, it still lacks fiber and phytochemicals. In general, bread is one of the biggest contributors of sodium in the American diet, not necessarily per individual serving, but rather as it adds up throughout the day. Different brands may have large variations, so if one brand has 110 mg sodium and another has 190 mg sodium, that adds a lot more salt in a sandwich. Sugar content can also vary greatly in different brands of bread – some can have 1 or less grams, but some may have 4 grams, which is equivalent to one teaspoon. In general (but not always) white bread contains more sugar and sodium than whole wheat bread. It is important to look at bread labels – if a slice of bread has 4 grams of sugar and you use 2 slices for a sandwich, that’s equivalent to 2 teaspoons of sugar. I’m not convinced by this “new evidence” showing health outcomes to be equivalent whether one consumed white or whole wheat bread. Authors were interested in looking at individual’s microbiomes to see if that played a bigger role in nutrition recommendations vs. nutritional value of the bread. This is an interesting area to further investigate, but for now lots of questions remain unanswered. I agree that there’s not a one size fits all approach to nutrition recommendations, but in this particular study there were only 20 healthy participants and each bread was only evaluated for 1 week. This is certainly not enough time to draw any solid conclusions. Also, study results need to be repeated several times for validation. Another very important thing to note is that the authors of this study do have an indirect stake in the results.